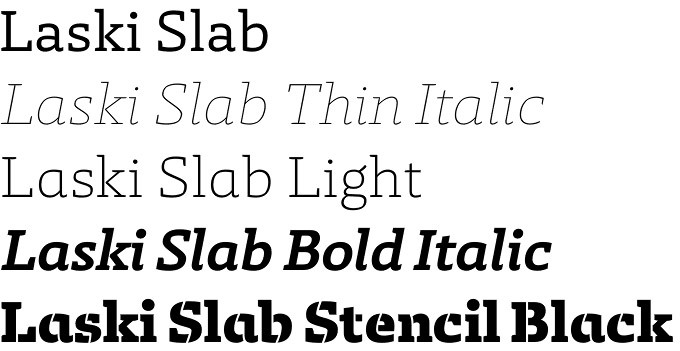 Laski Slab font is a family of 9 outlines each of the supported with true italics. Additionally you will find the heaviest weight developed in beautiful and original stencil version. So much for the numbers in this remarkable family. Its original and contemporary look has been probably the main reason for receiving the prestigious Certificate of Excellence from Typos Latinos 2014 – a sign of recognition for aesthetical and technical achievements of this family. 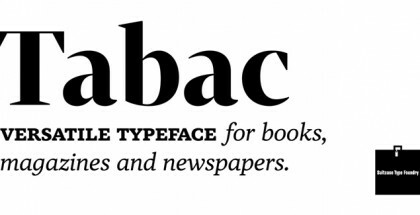 Slab serifs are something beautiful and very difficult to create at the same time because they are standing right at the borderline between serifs and sans-serifs and thus mixing and using elements, visual solutions and styles from those two large typographic streams. Laski Slab is not an exception here – its bespoke personality and serif character are interfering with its excellent legibility and well-balanced contrast resulting in a very friendly easy-to-read font family, excellent choice for all possible demands of editorial design – from large justified text paragraphs to high-contrast subheadings and strong prominent headlines. Using an OpenType savvy software will open a lot of extra choices which Laski Slab supports – a set of ligatures, multilingual diacritics, small caps, alternates and swashes. Covering the whole contrast range from low to high, Laski Slab shows a beautiful addition to all its 9 weights – a decorative stencil version in the heaviest weight. The stencil cuts are made accordingly to the logic of the character construction making the whole weight looking a bit lighter than the original, but preserving its high contrast. The italic stencil font is something we really loved a lot maybe because of the successful blending of those two styles and the good balance between decorations, originality and streaming energy of extra black italic letters. As a conclusion – Laski Slab font family has definitely lifted the slab serif typography to a higher level. Very useful and with enhanced legibility even in high contrast outlines, Laski Slab is a desired solution for both screen and print graphics. OpenType compatibility is an extra feature that truly expands the options in use of the family. Laski Slab received a “Certificate of Excellence” at the 2014 Tipos Latinos Biennale and won Gold award at 2014 Hiii international typography design competition (www.hiiibrand.com). Laski Slab font is designed in 2014 by Paula Mastrangelo with the technical assistance of Ramiro Espinoza for Retype Type Foundry. 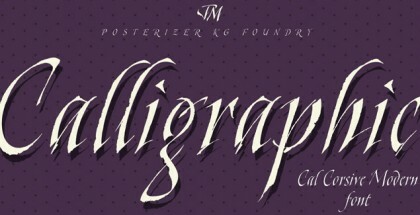 Find more of their amazing fonts here: Dulcinea font, Krul font, Medusa font, Lavigne font, etc.